M S International, Inc. is a leading nationwide distributor of flooring, countertop, wall tile and hardscaping products. Headquartered in Orange, California, MSI maintains more than 25 distribution centers across the United States and Canada. 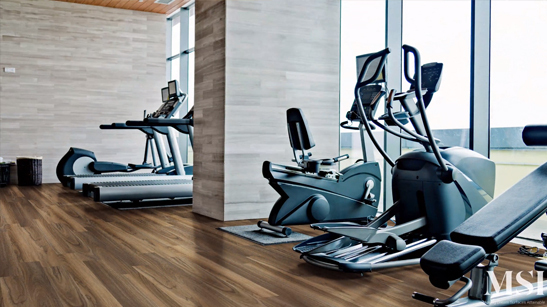 Explore MSI's rich library on various flooring, travertine, Stile, porcelain slabs, landscaping and countertops including installation, wall installation and proper handling to help prevent damage and injury. Founded in 1975, MSI is the leading supplier of premium surfaces in the U.S. Headquartered in Orange, California, MSI has distribution centers across the United States and Canada and maintains over 125 million square feet of inventory, imported from over 30 different countries on six continents. This documentary, jointly produced by the Marble Institute of America and MSI, tells the history of natural stones used in buildings through the years. 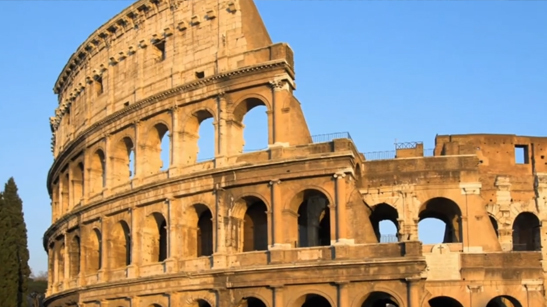 Visit the pyramids of Egypt, the Taj Mahal, the Coliseum in Rome, and various modern buildings. The tour showcases granite, marble, granite and other natural stones in buildings, sculpture, water features, and more. 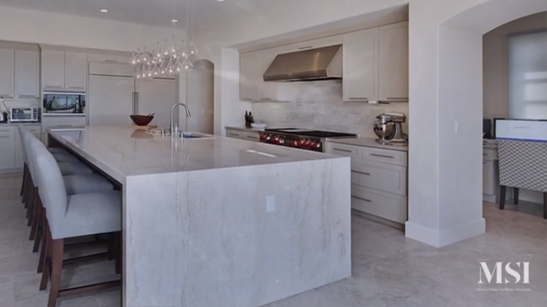 This video highlights the journey of natural stones from quarry to block, block to slab, and slab to countertops. View for inspiration and see the beauty, elegance and drama that natural stone can impart in any design and application. Both indoor and outdoor spaces with natural stone are highlighted. Can’t shake your obsession with gray countertops? We get it. Of all the beautiful ways you can modernize your kitchen, bath, and laundry room, nothing’s as chic. 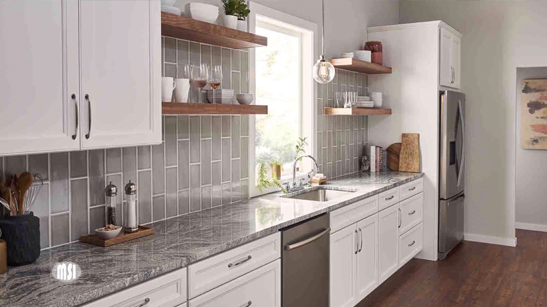 From barely-there veins to daring movement showstoppers to matte and polished finishes, we’ve paired your favorite light to medium grays with high-performance quartz to bring you the most practical and on-trend countertops on the market. 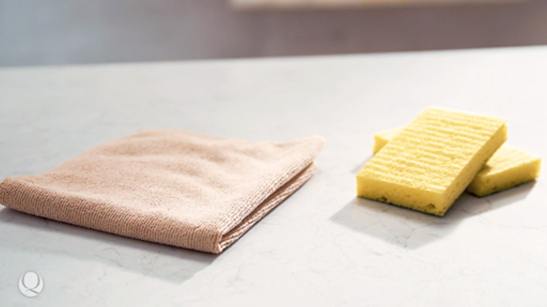 This brief video will help you balance the function, utility and design of your dream kitchen with expertise from MSI, the surface selection experts. Compare the benefits of natural stone, granite, marble, porcelain tile, and Q Premium Natural Quartz slabs to help you make the best choices for your floor, countertop and backsplash. 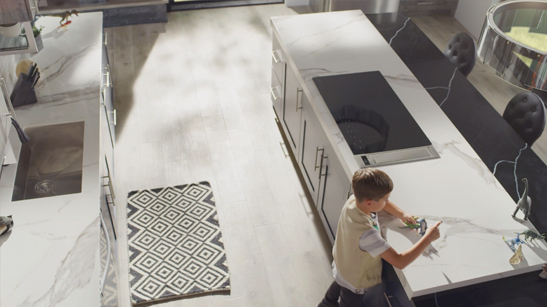 In this video, MSI introduces realistic premium marble looks, now available in durable and easy care Q Premium Natural Quartz. 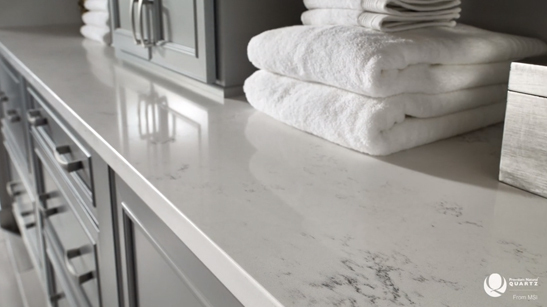 Explore this marble inspired collection and learn more about the benefits of the affordable luxury of quartz countertops for your kitchen and bathroom. 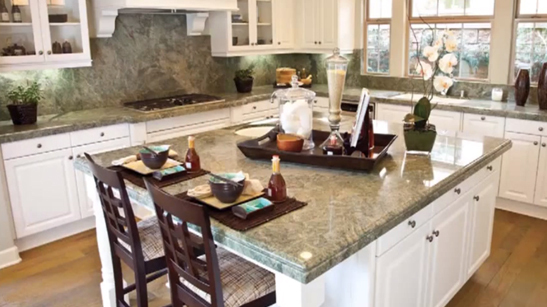 In this video, learn the materials and tools necessary to install countertops in your home. Our “Quick n’ Easy Countertop Kit” provides step-by-step installation instructions, including how to measure, create a template, and more. 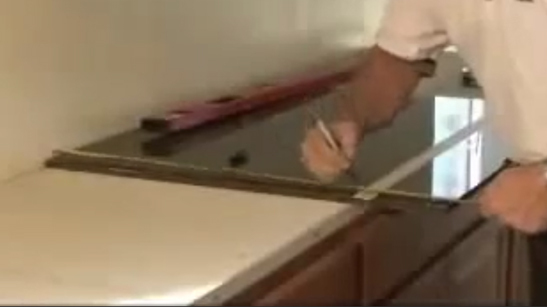 If you are ready to install a new countertop, this is a must watch video. Are quartz countertops right for you? In this short video, we present quick tips for keeping this scratch, stain, and scorch-resistant surface looking brand new. And our residential lifetime warranty means you won’t ever need to worry about the superior function of your premium quartz countertop. Ingredients for a Perfect Countertop) Q Premium Natural Quartz is a natural quartz surface made by an optimal fusion of quartz and resin material. Q is naturally beautiful yet incredibly durable. 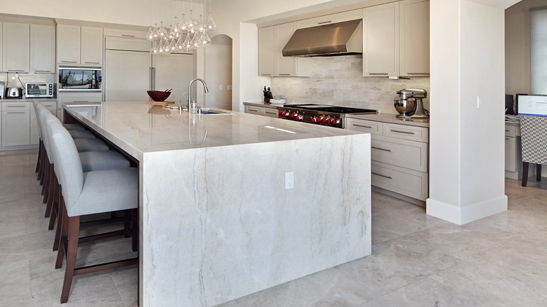 Treated and pressed, natural quartz stone is one of nature’s hardest minerals. The essence of contemporary elegance! STILE offers all the beauty of natural stone in an easy-care porcelain slab for sophisticated looks at an affordable cost. Etch, stain, and germ resistant, these large format high-performance slabs give floors, countertops, walls, and backsplashes a touch of understated drama. Watch this short video and see how STILE can be used throughout your space to achieve that wow factor! Only have eyes for Q? 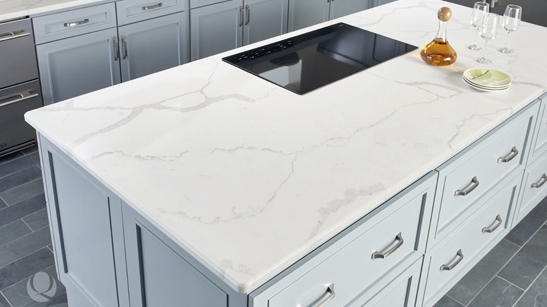 MSI now offers Q Premium Natural Quartz in even more swoon-worthy styles, with all the durability and easy-care convenience you’ve come to expect from this industry-leading collection. 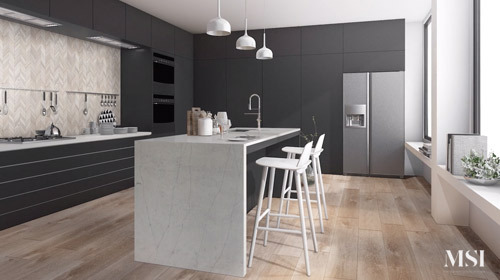 Fresh white marble looks with dramatic veining all the way to statement-making black (hello, Marquina Midnight)—whether you’re drawn to high-drama or subtle sophistication—MSI’s new quartz colors are what dream kitchens are made of. Seeing is believing! 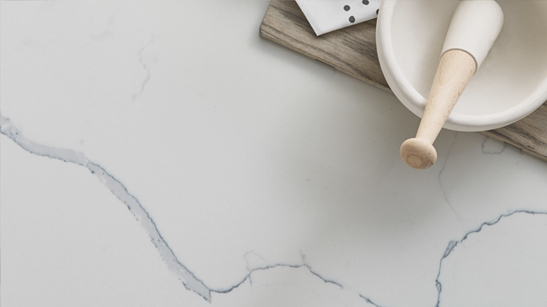 Unlike other quartz brands, Q Premium Natural Quartz from MSI features veins that run all the way though the slab for the most realistic marble and natural stone looks. 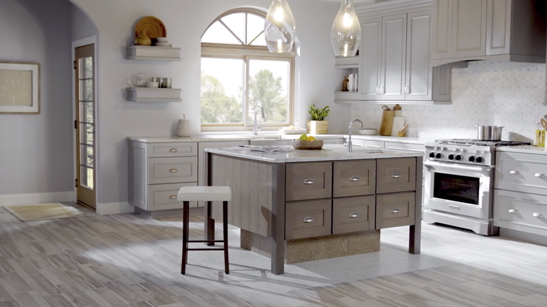 Watch this short video and see how our industry-leading through-body veining ensures your Q countertop edges, waterfall islands, and under-mounted sink surrounds retain authentic beauty. Designers are crushing over quartzite, and we aren’t the least surprised. 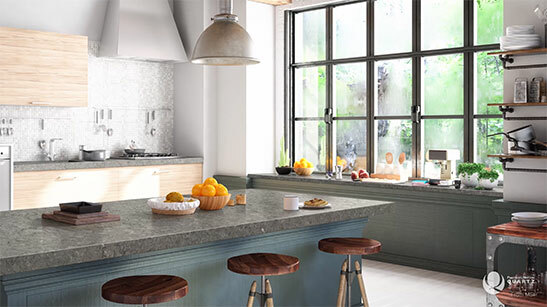 Quartzite is heat resistant, doesn’t scratch or etch like some surfaces can, and being a natural product each slab offers exquisite one-of-a-kind looks to give your countertop a personal signature. In an impressive array of colors, and veining that runs soft and subtle to bold and beautiful, watch this short video and rediscover one of Mother Earth’s richest treasures. 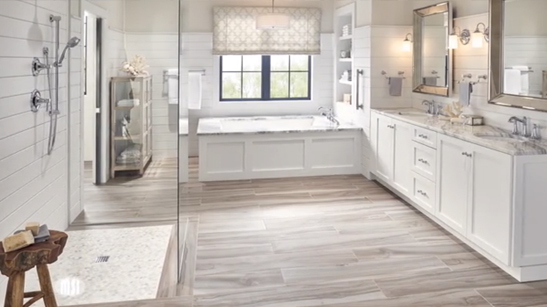 In this short video, MSI’s surface selection experts help you choose the perfect surfaces for your bathroom floors, shower surrounds, countertops and backsplashes. Whether you crave natural marble or granite, or prefer the function of porcelain, quartz or ceramic, MSI has a style and finish for your unique design. MSI’s Everlife Luxury Vinyl Tile (LVT) Collection stands up to the busiest of homes and light commercial spaces, without sacrificing comfort or style. Create affordable, easy-care floors with a range of today’s most on-trend, 6x48” and 7x48” wood-look luxury vinyl planks in two versatile lines: DryBack, a flexible glue-down vinyl flooring, and Rigid Core—a next generation, 100% waterproof vinyl plank flooring featuring an easy-install locking system. Warranty-backed and FloorScore and GreenGuard Gold certified, the Everlife Collection is pioneering LVT flooring. MSI continues to innovate and re-envision how customers select natural stone and tile for their interior and exterior design. 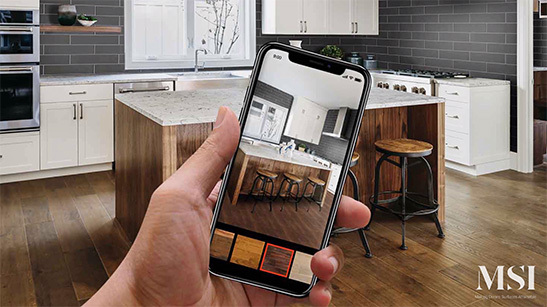 Our tools are designed to easily show you, in real time, how flooring will look in your space. MSI's Capella Collection features terra cotta inspired tiles, wood-look plank tiles, and brick-look tiles that are designed to mix and match. Available in coordinating colors from soft ivories to medium tone ash, and rich and browns, this porcelain collection provides ultimate flexibility in design. 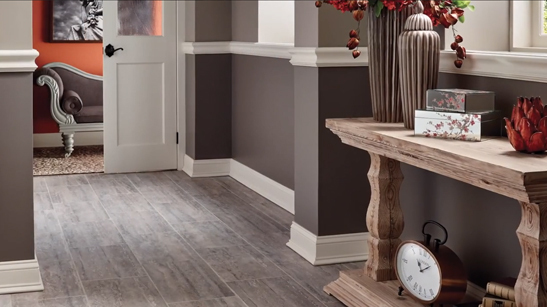 Watch this short video and be inspired to use the Capella Collection in your next project. Wood look tile is taking center stage. These new stars offer the look and feel of genuine wood tile flooring - even some saw marks in a spectrum of styles from reclaimed rustic to modern gray-washed. MSI's Versailles Collection provides the look of natural travertine, includind a lightly textured surface, and chiseled edges, in an easy care porcelain tile. Sold in a kit to take the hassle out of ordering multiple seizes neede for a patterned floor. 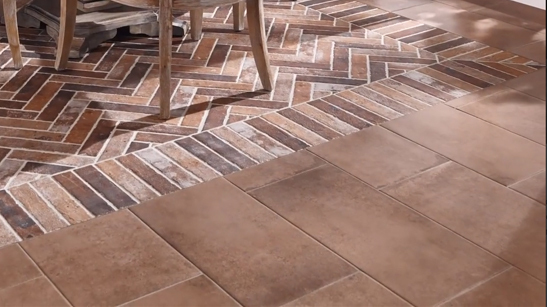 Watch this short video and be inspired to use this travertine inspired porcelain tile kit in your next design project. 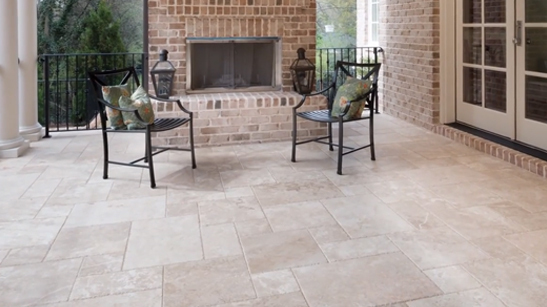 MSI's Veneto Collection is inspired by classically beautiful natural vein-cut travertine. This collection recreates this timeless look in a porcelain tile that is easier to maintain and clean the natural stone. 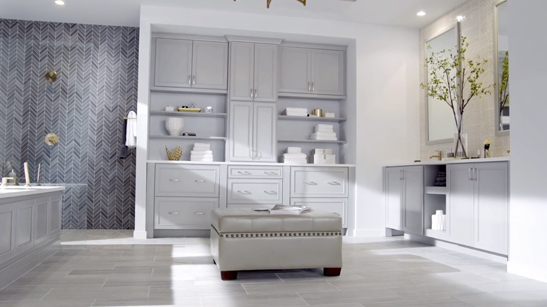 Watch this short video and preview rooms with installed Veneto porcelain. 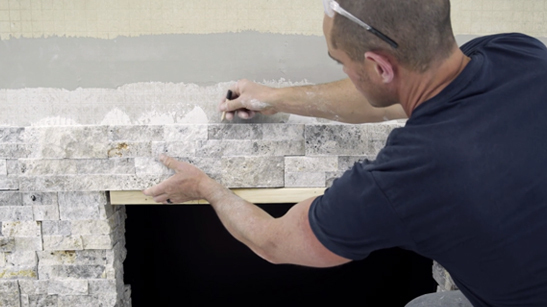 This video from MSI provides all the guidance you need to get professional results on interior and exterior stacked stone installations, including how to calculate materials and the essential tools and supplies you’ll need. 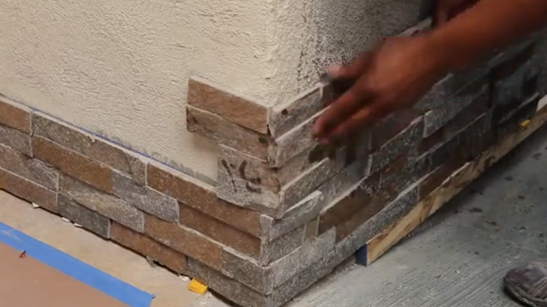 It also takes you through a simple step-by-step demonstration of an indoor stacked stone install, from preparation to the application, cutting to placement. Avoid typical DIY pitfalls and get the custom look installation that you desire with MSI stacked stone panels. 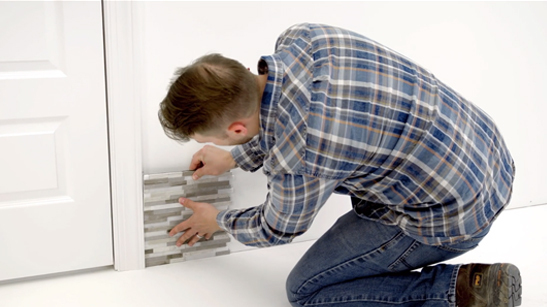 MSI STIK Wall-Tile™ is a simple DIY install that adds a beautiful accent wall to any interior space, and with these easy steps, you’re sure to get professional results. This video provides pro tips for a successful installation, including surface preparation, tile cutting and placement, and tools and supplies needed. 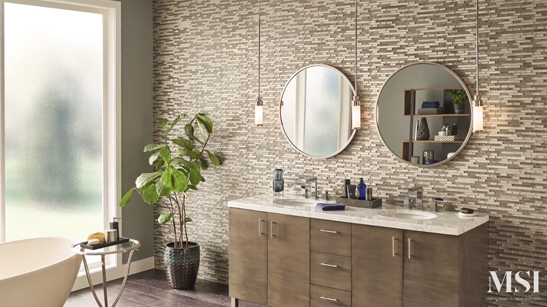 Available in both mosaic tile and ledger tile designs, MSI's STIK Wall-Tile™ is the perfect solution for custom backsplashes and accent walls throughout your home. 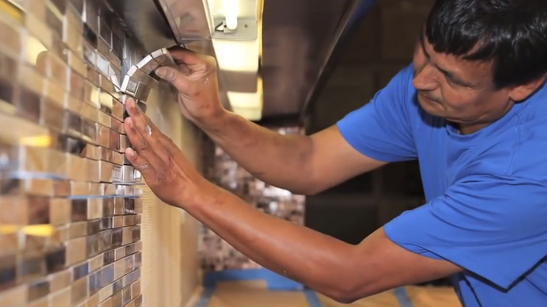 In this video, learn everything you need to know about installing a mosaic backsplash in your kitchen or bath. Learn about the materials you will need, and pay special attention to preparation recommendations. Watch for wet saw cutting tips, use of spacers, and installing around eletrical outlets. Installed horizontally, vertically, or in a herringbone pattern, MSI subway tile has a clean line aesthetic. High-quality materials like marble, travertine, and glass give any space a look that’s fresh and universally appealing. A subway tile backsplash is a classic choice in the kitchen or bathroom. Wall tile is capturing the design spotlight like never before, to which we say: bring it on! Unexpected shapes, colors, textures, and dimension are seen covering vertical spaces including feature walls, showers, and backsplashes. From playful encaustic looks and brick-looks, to sought-after stacked stone (retro inspired, but the freshest thing we’ve seen in years), MSI offers the most diverse assortment of porcelain, ceramic, and natural stone wall tile. Watch now and wake up your walls with tile. Setting a new standard for outdoor surfacing, Arterra Premium Porcelain Pavers can help you achieve a dream-worthy outdoor oasis. Arterra is on-trend, ultra-durable, and decidedly family friendly. In numerous colors and styles to choose from, this stylish porcelain line offers something for every design aesthetic. Where the perfect night means entertaining in the great outdoors, Arterra takes the work out of outdoor enjoyment. 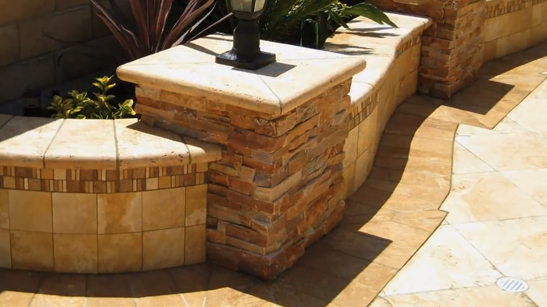 Natural stone has been used for generations to enhance the beauty and functionality of outdoor spaces. Natural stone pavers, ledger panels, flagstones, cobbles, pebbles, and veneers can enrich your patio, outdoor kitchen, walkways, and swimming pools. 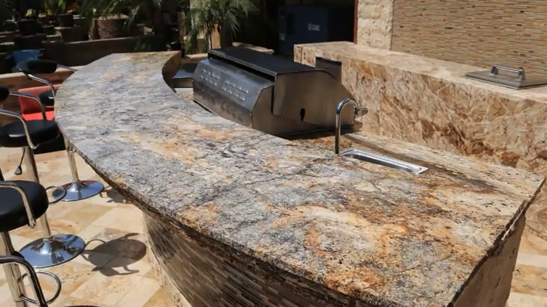 Watch this video to see an assortment of natural stone products in a variety of applications. Enhance your outdoor living space with natural stone pavers crafted from travertine, granite, slate, quartzite, marble, basalt, limestone, or sandstone. Most pavers have matching pool coping colors for easy design that are cool to the touch. Watch this video to see the variety of finishes, sizes and applications available. Ledger panels are a cost-effective way to add character, elegance and personality to your outdoor space. 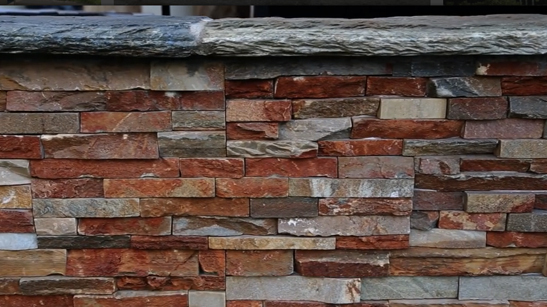 The stacked natural stone panels are ideal for barbeques, water features, as property dividers, and so much more. They can be used on virtually any wall or vertical feature; watch this video to learn more. Authentic elegance! Natural stacked stone wakes up your walls with texture, dimension, and gorgeous neutral colors for unstoppable style. And now, many of MSI’s most popular standard sized ledger panels are available in M Series; a smaller format that’s perfectly sized for backsplash installation—no cutting or grout required—and equally appealing on fireplaces, feature walls, vanity walls, or nearly any vertical space where a touch of natural beauty is welcomed. In quartzite, marble, and slate, these beauties give your space an instant update in the most natural way possible. See for yourself, watch now. 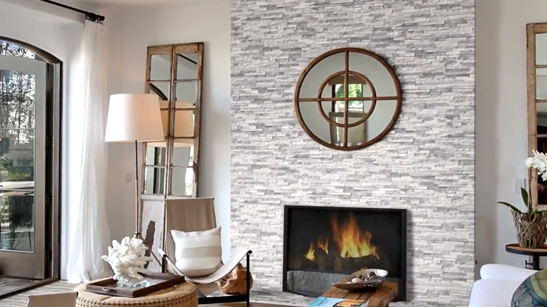 Natural stacked stone wakes up your walls with texture, dimension, and gorgeous neutral colors for unstoppable style. And now, many of MSI’s most popular standard sized ledger panels are available in M Series; a smaller format that’s perfectly sized for backsplash installation—no cutting or grout required—and equally appealing on fireplaces, feature walls, vanity walls, or nearly any vertical space where a touch of natural beauty is welcomed. In quartzite, marble, and slate, these beauties give your space an instant update in the most natural way possible. See for yourself, watch now. Natural stone thin veneers are durable, elegant with consistent color throughout. These veneers are ideal for most exterior vertical features including water features, outdoor dividing walls, the façade of a home, and so much more. This video will give you ideas on applications, and the wide range of colors, designs, and finishes available. Natural stone ledger panels and veneers are engineered for beauty, durability, and streamlined installations. Corner and flat panels are available in a wide array of styles and colors to bring natural beauty to your exterior projects. 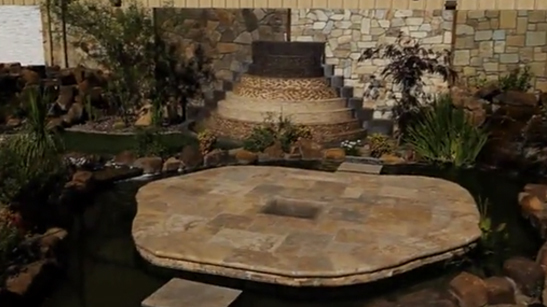 Watch this video to view how this versatile natural stone product can be used in your landscaping. Use pebbles and cobbles to create elegance in your outdoor space. 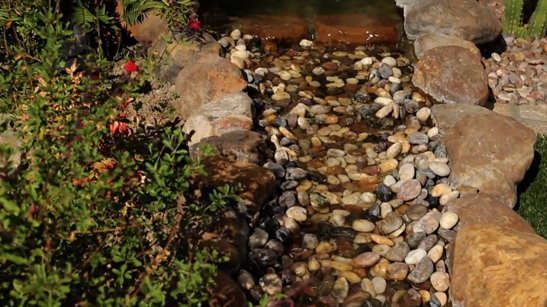 Smooth glossy pebbles are ideal for water features, pathways, walkways and landscaping. Cobbles, made of granite or sandstone, enrich driveway, paths, and patios with old-world charm. 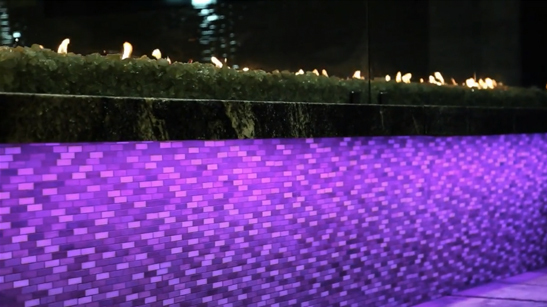 This video shows the wide range of applications, and how these products beautify outdoor spaces. Patios, pathways, fireplaces, pool surrounds and other flat areas can all be enhanced by the addition of natural flagstone. Flagstone is ideal for individuals looking for low maintenance solutions yet beautiful hardscape solutions. 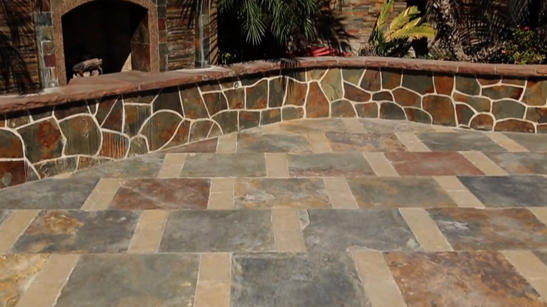 Watch this video to see the variety of colors and sizes and in a variety of applications. Be inspired to use flagstones to create your ideal outdoor space. 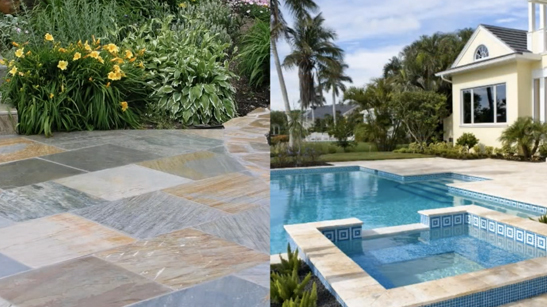 In this video see examples of slate, quartzite, sandstone, and limestone flagstone applications in patios, pool decks, and pathways. Flagstones can also be used for vertical applications and partner beautifully with other natural stone products including mosaics, pavers, and wall veneers. Ledger panels are ideal to add character, beauty, and drama to your outdoor vertical walls. Ledger panels are available in a wide array of colors, finished in a beautiful stacked stone appearance. 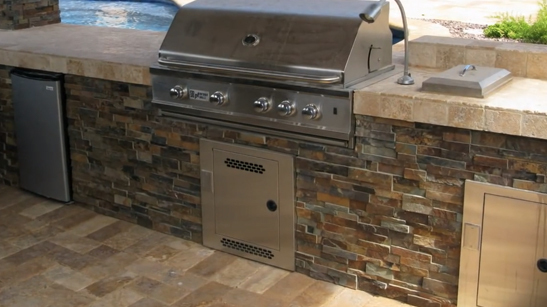 Watch this video for inspiration on how to incorporate them into your design for barbecues, property line walls, water features, and much more. Available in a variety of styles, colors and designs, natural stone ledger panels and veneers are a beautiful addition to any outdoor space. Natural stone ledger panels can be used to update the façade of your home, create a barbecue island, for water features, backsplashes, and much more. 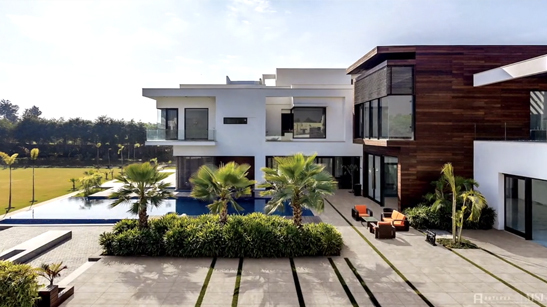 In this video, be inspired to use complementary natural stone products to create a beautiful outdoor space for your home. 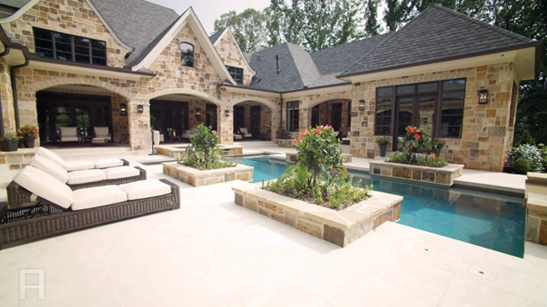 Sandstone pavers, wall veneers, wall caps, and granite trims are used to create a stunning water feature, durable patio space, beautiful pool, and elegant dividing walls. 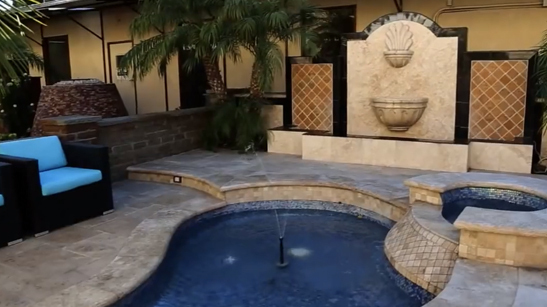 In this video, slate pavers, wall veneers, loose ledgers, tumbled tiles, granite, and sandstone pavers are used to create a soothing outdoor space. 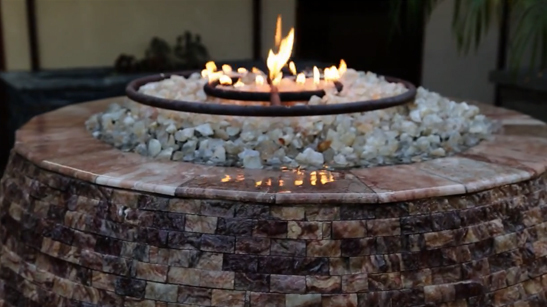 Be inspired to create a unique fireplace and water feature combination that brings warmth and character to a flexible patio area, ready for relaxing or entertaining. Onyx mosaics, travertine pavers, stepping-stones, and ledger panels of quartzite and sandstone are used to create this stunning space. The onyx mosaic creates an elegant water feature, while the stepping-stones encourage peaceful wandering. 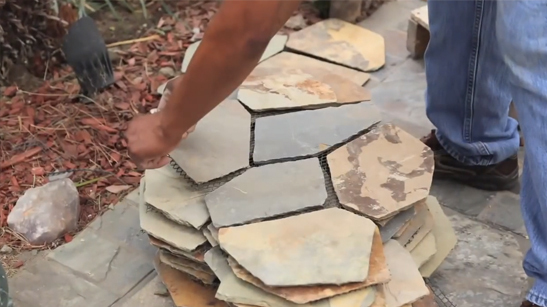 Watch this video to see how a variety of natural stones come together to create the outdoor space you desire. Be inspired to create a serene space using a variety of complementary natural stone products. 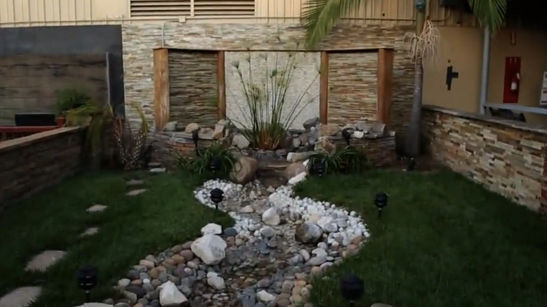 In this video, wall veneers, wall caps, marble accents, pebbles, and random flagstone come together to create a dramatic and beautiful outdoor space. Natural stone is the star here, being used throughout the project. Travertine pavers, pebble surround, a wall veneer, granite, and mosaics come together to create a magnificent patio complete with water and fire features. This tranquil space is ideal for relaxing, or entertaining your friends and family. 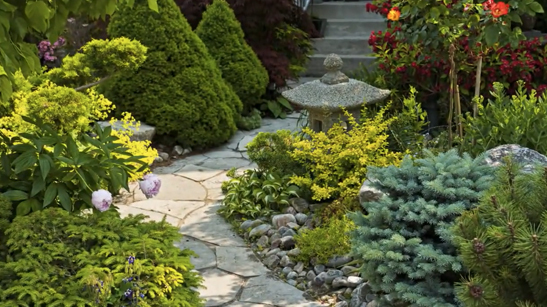 Watch this video for inspiration on how you can create your ideal outdoor space. 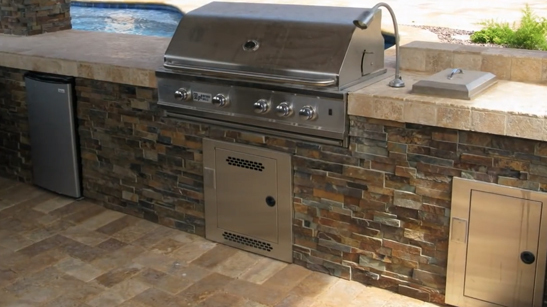 In this video, see how travertine tiles, marble pavers, coping steps, granite, and a mosaic backsplash come together to create a stunning outdoor kitchen and patio space. The patio, comprised of a combination of marble pavers and travertine tiles creates a moving and elegant space, while the mosaic backsplash is the perfect visual backdrop. 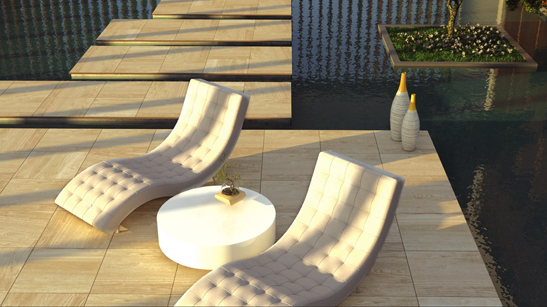 Travertine ledger panels are ideal to create a contemporary outdoor space for your family. This video shows how ledger panels can be used to create separation walls, or privacy walls, whichever your landscape design needs. Ledger panels are engineered for a streamlined installation and durability while providing the natural stacked stone appearance you desire. Natural stone products including sandstone pavers, granite pavers, polished pebbles, wall veneers, pebble mesh and mosaic mesh come together in this hardscape installation. Distinctive walkways, a pond, a waterfall, and a trickling stream come together beautifully to highlight your many options in creating the outdoor space of your dreams. 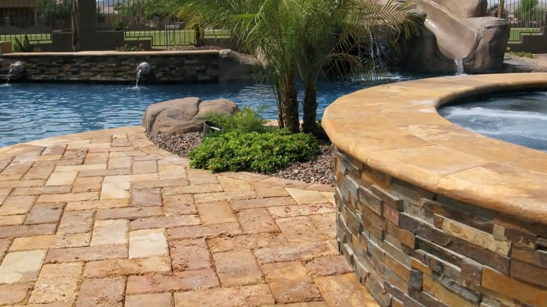 In this video learn how travertine pavers and copings are ideal for your patio, driveway, pool surrounds and more. Kick your shoes off and enjoy your outdoor space crafted from travertine pavers and copings that remain cool to the touch in hot weather. See the variety of colors, designs and shapes available for your project. Suitable for any vertical space including dividing walls, water features and fire features, natural stone thin veneers can complement from old-world to contemporary aesthetic desires. 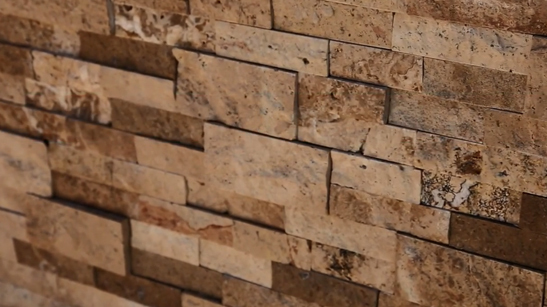 Watch this video to learn more about natural stone thin veneers, and their wide array of colors and designs. Arterra Premium Porcelain Pavers lend sophistication and style to your outdoor space. Best yet, they’re easy to put in place. Watch this video for step by step instructions, including surface preparation, tile cutting and placement, and tools and supplies needed. On-trend and impressively durable, Arterra pavers are the perfect solution for patios, pool surrounds, outdoor kitchens, and more! 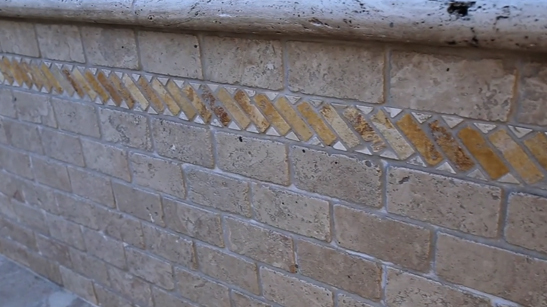 Learn about natural stone ledger panels, ideal applications, and how to install. With this video, you will learn about the equipment and products needed for installation, and the preparations you need to make for a successful installation. In no time, you will have the knowledge you need to transform an interior or exterior wall in your home. Mesh Mounted Flagstone is designed for easy installation. These flagstone pieces are designed to be installed in an interlocking pattern where individual sections fit together like a puzzle. This simple to follow video will walk you through the steps to properly install a mesh mounted flagstone patio or floor.